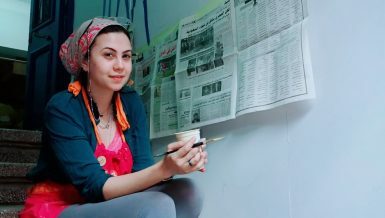 Women Will political empowerment affect women’s economic empowerment in Egypt? In spite of Egyptian President Abdel Fattah Al-Sisi having announced 2017 as the year of women, and for the first time, in 2018, there are six ministries led by women, Egypt continues to battle the issue of child marriages with a set of new strict laws. Egypt recently ushered in a new presidential term for Al-Sisi, who appointed Housing Minister Mostafa Madbouly as prime minister and asked him to draw up a new government to succeed that of Sharif Ismail, who stepped down. Governmental sources told state-run newspaper Al-Ahram that the new cabinet reshuffle will witness an increase in the number of ministries led by women to eight, instead of six, for the first time in the history of Egypt. Thus, Daily News Egypt sat down for an interview with the UN Women country representative in Egypt, Blerta Aliko, to learn what her opinion is regarding Egyptian women’s economic and political empowerment, in addition to exploring the challenges that women in Egypt still face. Aliko said that the political empowerment of women in Egypt is one of the main rights given to women in Egypt through the 2014 constitution, describing it as one of the most progressive constitutions promoting women’s rights. She continued that the constitution includes articles that grant women political participation. Moreover, she explained that the 2014 constitution established a 25% quota for women in local legislatures, which means that more than 25,000 seats can be occupied by women. 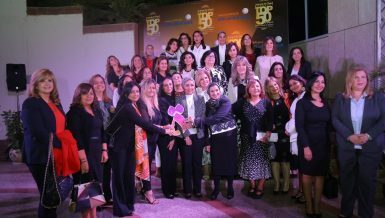 Aliko went on to say that at least 25,000 women across Egypt can partake in local development decision-making processes. She noted that there is a significant increase in the number of appointed female parliamentarians, in addition to the elected representatives, pointing out that the total number of the female members in parliament stands at a record high of 15% of the House of Representatives, occupying about 89 seats. For her part, Egypt’s Minister of Planning Hala Al-Saeed said, during her meeting with Aliko days ago, that women’s empowerment is part of the Sustainable Development Strategy: Egypt Vision 2030, noting that the state is working to integrate women into the labour force, reduce the gender gap, and provide proper work opportunities for women by the year 2020. Furthermore, Aliko asserted in the interview that there is political will that has been expressed by the government in Egypt to improve women’s rights, and for that to act as an accelerator of Egypt’s sustainable development. 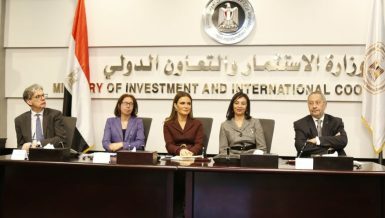 As the Egyptian government has said it harbours a strong will to improve the status of women in Egypt, and has already improved their political participation, whether that political empowerment will affect women’s economic empowerment and participation in the labour force or not remains an open question. In terms of the labour force, the percentage of female participation in the country’s workforce reached 22.9% (15 to 64-year-olds), which represents nearly one-third of men’s share of the labour force, which was 69.9% for the same age group, according to the latest statistics released by the Central Agency for Public Mobilisation and Statistics (CAPMAS). For her part, Aliko said that there is demand and a need to increase women’s participation in the labour force in general, whether in the formal or informal sectors, and also in the private and governmental sectors. 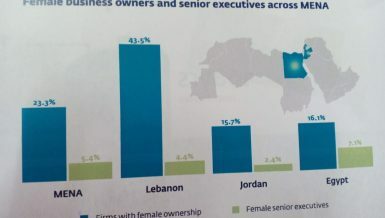 The CAPMAS stated previously that the percentage of female workers in the governmental sector reached 25.8%, versus 74.2% for males. 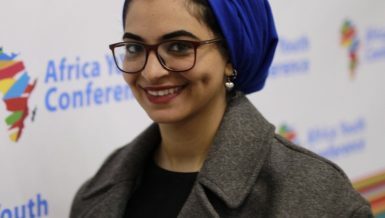 “We saw that the level of Egyptian women’s education and qualifications are equal and pretty on par with men, but their opportunities in access to employment are much lower than them,” according to Aliko. “The unemployment rate reached 23.6% for females compared to 8.9% for males in 2016,” the CAPMAS stated previously. 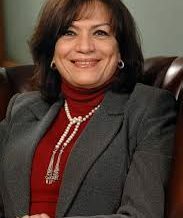 In that regard, days ago, Egypt’s Minister of Planning Hala Al-Saeed, during her meeting with Aliko, said that the Sustainable Development Strategy: Egypt Vision 2030 targets raising the participation rate of women in the labour market to 35% by 2020 and to 40% by 2030. Aliko said that there are multiple reasons for the fewer chances for women to take part in the labour force, the most important one being the preparedness of women having the required qualifications that correspond with the job market. 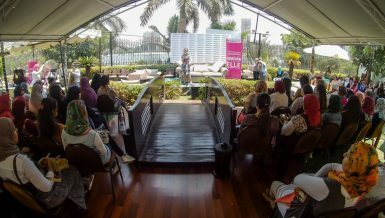 Did the governmental measures taken to improve women’s status limit the challenges that Egyptian women face? “Despite the political will and policies that are being taken to improve the status of women in Egypt, the number of younger females that undergo female genital mutilation (FGM) is still high,” according to Aliko. According to a 2013 UNICEF report, which investigated FGM in 29 countries, Egypt has one of the highest numbers of females in the world who have undergone FGM. The number totalled 27.2 million women. The UNICEF’s 2014 report showed that 91% of females aged between15 and 49 years old are subjected to FGM in Egypt and over 80% of these females are 0-15 years old. A 2016 survey by UNICEF showed that 87% of women and girls aged 15-49 in Egypt have undergone the procedure. UNICEF also found that the practice is more common in rural areas and less common in wealthy parts of the country. 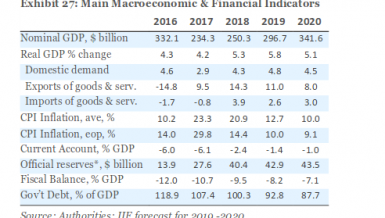 Aliko continued that the number is quite high, when considering the strong political will, measures, and national policies that have been put in place. “There is a lot of work being done to cut the numbers when it comes to violence against women, be it domestic violence or sexual harassment in public spaces, already I think there is an improvement in that regard, but it is still high,” Aliko noted. Concerning violence figures in Egypt, the International Men and Gender Equality Survey (IMAGES), published earlier this month, revealed that almost half of men reported ever having used physical violence against their wives. Furthermore, more than 70% of women and men said they believe that wives should tolerate violence to keep their families together. Unfortunately, the survey revealed that more than 60% of men reported ever having sexually harassed a woman or a girl. Aliko assured that these numbers negatively impact Egypt’s rating in the global gender equality index. 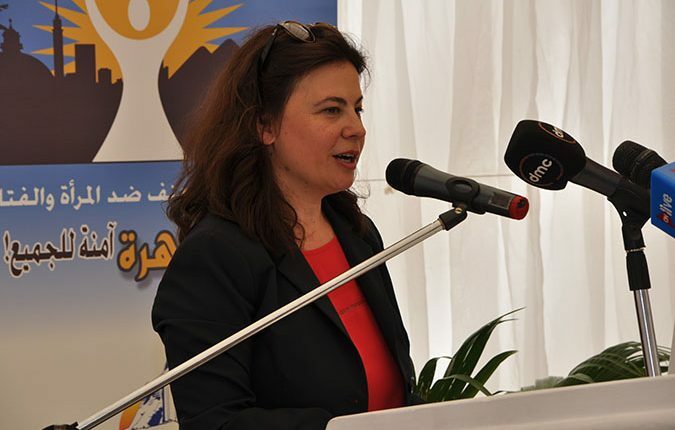 In terms of the UN’s functions in Egypt, Aliko concluded that UN Women in Egypt is currently working on three focus areas, the first being paying attention to increasing women’s participation and leadership, the second on women’s economic empowerment, which begins with giving marginalised women financial literacy training, and the third one being ending violence against women. “We will continue supporting women, especially the marginalised categories, to make sure they are involved in economic and political life in line with changing the policies. This is our niche,” the UN Women representative in Egypt asserted. A trend or not: how Egyptian women encounter with World Cup 2018?